Click on any image to enlarge to high-res. Grammy-nominated singer, actor, writer, multi-media artist; Brandon Markell Holmes is a formally trained theatre actor who curates common ground in creative storytelling and abstract exposition. His work themes are reflective of social observations and the symbiotic relationship between art & and history. 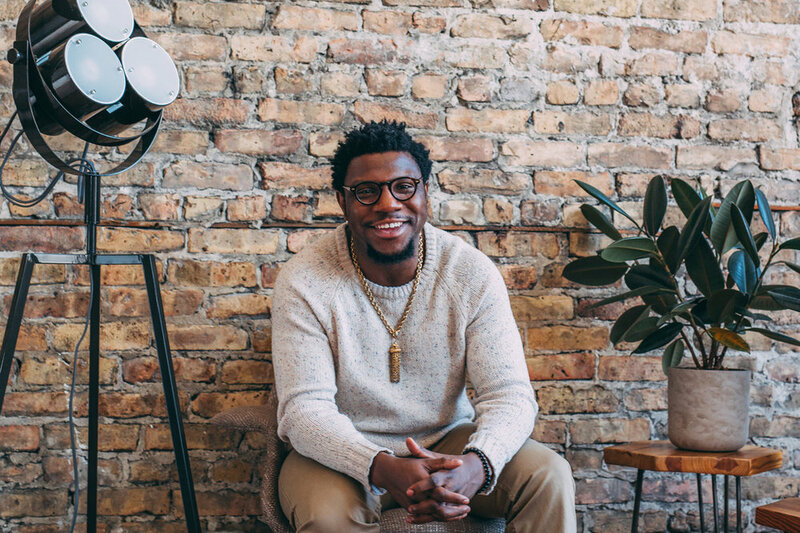 Brandon's premiere works include a visual EP entitled, Inertia, featured in Afropunk, Art's Incubator with The University of Chicago, and in conjunction with OpenTV Beta at North Western University, as well as a collaboration with international recording artist The Gorillaz on "Circle of Friendz" off their 2017 album, Humanz. Brandon's song-writing has also achieved claim after "You Won't," produced by Bobby Wooten and Andre Danek, was picked up for FOX's Empire, season 4 episode 5, featuring Jussie Smollett. Brandon is a 2018 featured artist at Chicago ideas week in addition to a 5 day residency at The Museum Of Contemporary Art spring 2019. Brandon debut album “The Museum of R & B” is schedule for release fall November 2018.